Whether you are a new business owner and looking for some extra cash to invest in your business, getting funding can be a challenging thing. Getting rejection on a loan is also a distressing situation, but don’t close your doors. As every problem has a solution, you need to understand the causes of rejection and fix them. What Are The Reasons For Rejection? The sooner you understand the reasons of rejection, the sooner you can get the solution of that problem. After fixing the problem you can get the funding you need to take your small business forward. The ability to get a business loan and avoid rejection in the end comes down to a lender confidence in your ability to pay off a loan. It doesn’t worsen your own credit score, there are other factors that you also need to know. When it comes to getting a business loan, both your personal and business credit score are taken into consideration. Your personal credit score is essential, particularly if you are the only proprietor of your business, but your business credit score will also be taken into consideration so make sure to examine your credit score. According to the Small Business American Dream Gap Report, almost 42% of small business owners don’t understand that they’ve a separate business credit score and 82% don’t actually know how to understand it. This meek confusion is really damaging small business owners and the sooner they understand this issue, better. There are lots of reasons for your business loan rejection; however one of the primary reasons could be to do with your balance-to-limit ratio. This is mainly how much you owe as compared to the credit amount available to you. In terms of your personal credit rating, lenders need to look that you’re using no more than 30% of the total amount of available credit. So for instance, if your credit limit for all of your cards is $10,000, you’ll need to maintain your total credit card balances under $3,000 in order to keep your credit utilization rate low. On the other hand, having no debt is another risky thing for lenders. The reason of rejection on a business loan differs significantly and one of the reasons could have something to do with your business’ age. You wouldn’t want to be the first lender giving your cash out to an inexperienced business owner whose only been running a couple of months. Either way, it could all end rather unpleasantly. Business lenders feel secure and comfortable when they know they are lending to an established business, almost 1-2 years old. Therefore, if you have a robust monthly sales, and solid credit score, but are still being rejected by the traditional lenders (banks) and even alternative lenders, it could be due to the fact that you are in startup phase. Every lender has different lending criteria with regards to giving out business loans – along with many other products. And due to the fact that the traditional lending is difficult to acquire, it is also possible that there is a lender in the market who you could match with. Therefore it is advised to go to lender that that you deem fit for your business financial requirements. If you aren’t making adequate sales, it shows your inability to pay back the loan. And for that the lenders consider you a high risk borrower. However, in case you are spending more than what you earn, then you will need to fix your cash flow problems before going to apply for a business loan. You were counting on getting that business loan, but the bank said no. 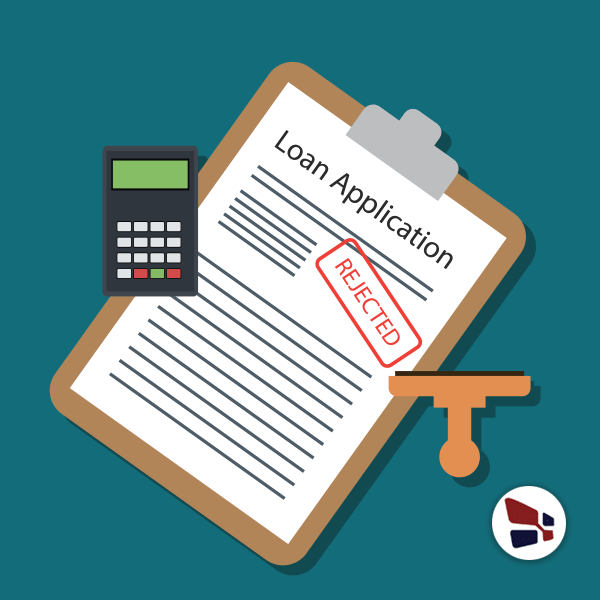 Here are 5 major reasons why banks turned your business loan application down.